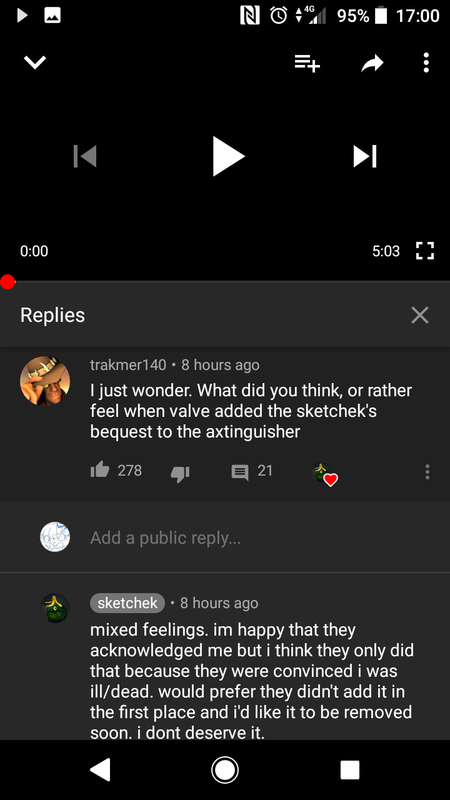 In the apology video, Sketchek said that he wanted to take a break from games because he had been socialising more in the real world, and Team Fortress had lost much of its appeal. “Somewhere along the way, I came to the conclusion that video games had ruined my life,” he said. In the 2015 video, Sketchek said that he was done with the game, and that even if he somehow recovered from his supposed illness, he wouldn’t return to it.